Blog - What is a Power Shower? If you’re looking to have a new bathroom fitted, you’re probably going to need a new shower too. Of course, not everyone is clued up when it comes to the different types of showers but at Doug Cleghorn Bathrooms we certainly have you covered. From a technical point of view and one easy way to look at things, is that showers basically break down into two different categories. These are an electric shower and the power shower alternative. To help you choose the right type when considering a new shower for your bathroom, have a read of this handy guide for the differences between the two. If water pressure is often an issue for you, a power shower would be a great solution. They are generally installed on a gravity fed, low-pressure water system (usually in the roof space) and combine both your hot and cold water to create the perfect temperature. They are additionally thermostatically controlled for safety and commonly work on a pump. The pump then helps boost water flow for an energising power shower. The pump of a power shower may also require maintenance over the years but this is just to ensure a consistent level of good water flow. A fast and efficient way of getting clean, power showers come with many other great benefits. Not only is water flow excellent with a power shower they are also easy to install and offer a great amount of control over shower water temperature. Additionally, they can even add value to your home! 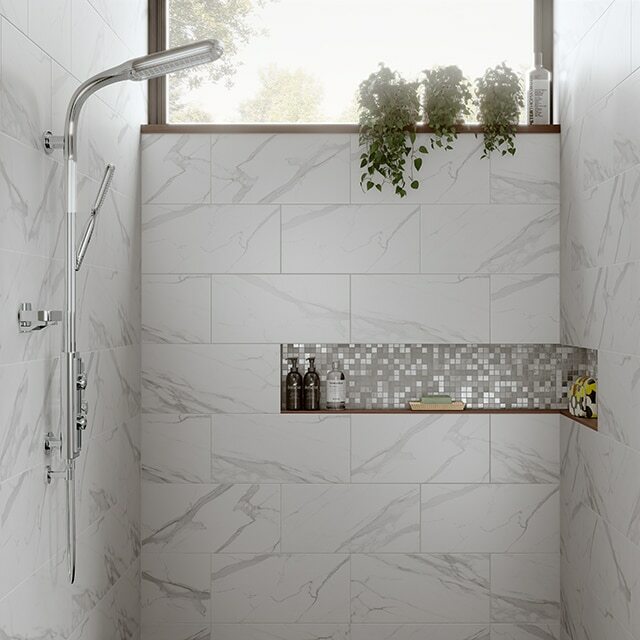 Because buyers associate power showers with luxury and convenience, they are right at the top of the list when it comes to their new home essentials. If you’re thinking about moving soon, then this option of shower would be a sensible choice to make. If you’re still wondering whether a power shower is right for you, at Doug Cleghorn Bathrooms, we can help you make an informed decision. Both categories do come with their pros and cons but if a gratifying shower experience is your priority a power shower will be the clear winner and will not disappoint. To weigh up the options for your new shower, you’ll find a selection of invigorating models in our Leeds bathroom showroom. Our helpful team are also on hand to guide you through your decision so to discuss your showering preferences, please do get in touch. Find your perfect shower in our Doug Cleghorn Bathrooms showroom. Image source: Verona Group.